The double feature pairs Remember the Night (1940) and Mr. Soft Touch (1949). 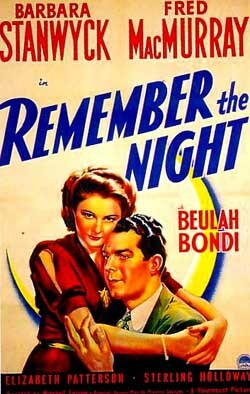 TCM has been airing Remember the Night regularly in recent years, and that's where I first saw it. The film stars Fred MacMurray and Barbara Stanwyck as an assistant DA and a thief who share a memorable and affecting holiday before she is set to serve her jail sentence. Directed by Mitchell Leisen, written by Preston Sturges. A classic. San Francisco’s 9th annual Noir City Film Festival will run from January 21 – 30, 2011, also at the Castro Theatre; I'll post the screening schedule and ticket information as soon as it's available. Film noir fans should try hard to attend this festival, it's a chance to see both classics and rare "B" gems on the big screen in an old-style movie palace. Ladyeve. What a perfect Christmas movie pick for all of us Film Noir fans.. This movie and "Double Indemnity" are a couple of their best. I have not seen the film, Mr. Soft Touch. I will add it to my "must see" list of films. Lady Eve, like you I first saw "Remember The Night" when TCM aired the film, but I have neither seen nor heard of "Mr. Soft Touch". The Castro Theatre sounds like the perfect place to begin the holiday festivities: spike your eggnog and put a little Noir in your Noel. 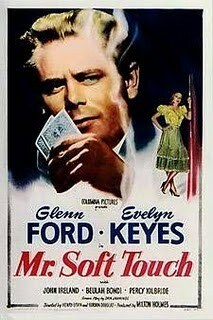 I think "Mr. Soft Touch" is one of those rare finds that the Film Noir Foundation seems to unearth on a regular basis. The Chicago festival in August included "City that Never Sleeps," a film referred to as a "rarity" - the print was on loan from Martin Scorsese's private collection. WOW!! "B" noir on parade..you could do an entire blog on all the MacMurray/Stanwyck pairings before and after DOUBLE INDEMNITY!! 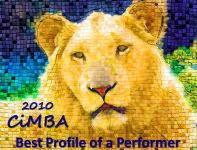 !..THANX eve!!! Sounds like a lot of fun, Eve. I'd love to hear about it after the fact. I've never seen or heard of Soft Touch either. Have fun!